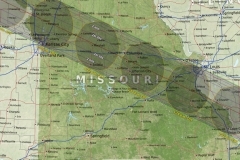 It is two weeks before the Total Solar Eclipse event of the year here in the United States. 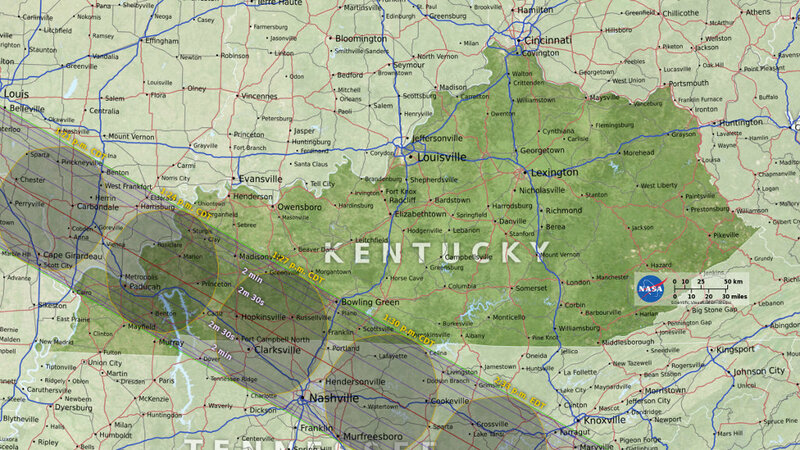 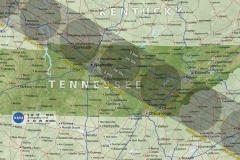 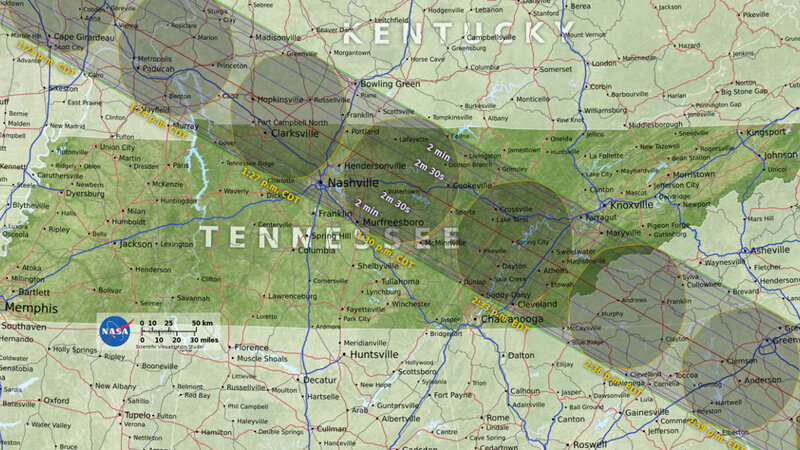 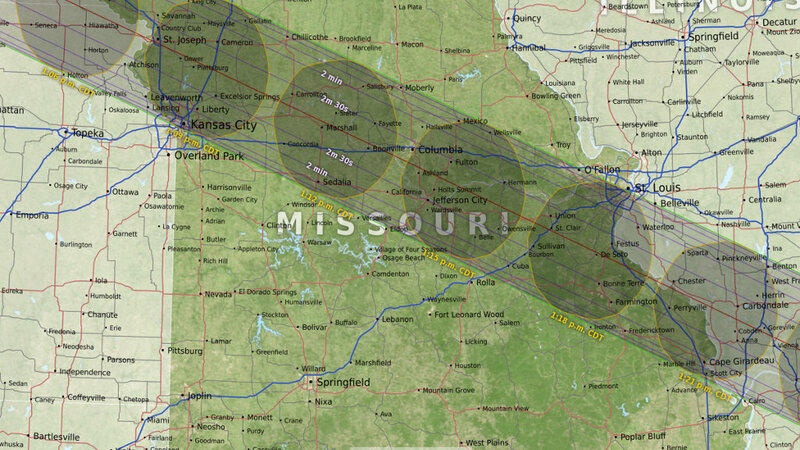 The totality will happen around noon on August 21, 2017. 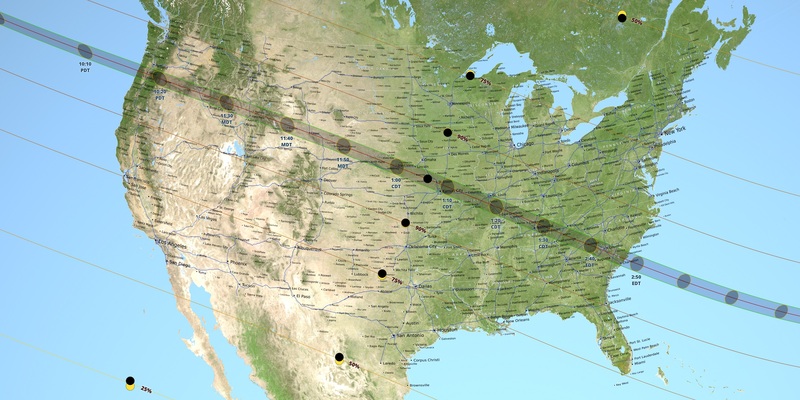 Where are you going to be? 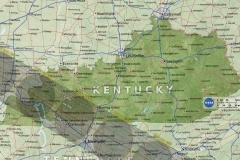 The following animations and charts detail the path of the eclipse and where toatality will occur in the continental United States. 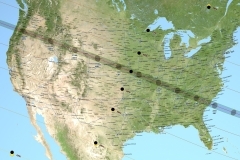 Path showing the umbra and penumbra over the U.S.